With all the negative attention on football as a result of some NFLers’ bad acts, I thought that it would be a good time to highlight some of the good that’s going on in the sport. Long ago, females only knew football from the sidelines as cheerleaders or fans in the stands. Today, however, more and more ladies of all ages are testing the waters on a more frequent basis. Earlier this year, Jen Welter is believed to have become the first woman to play professional football in a non-kicker position. 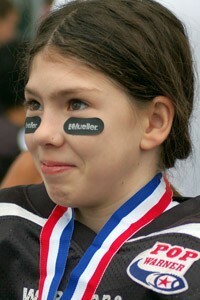 And in August 2006, Ashley Martin, of Jacksonville State, became the first female to play and score in a football came. 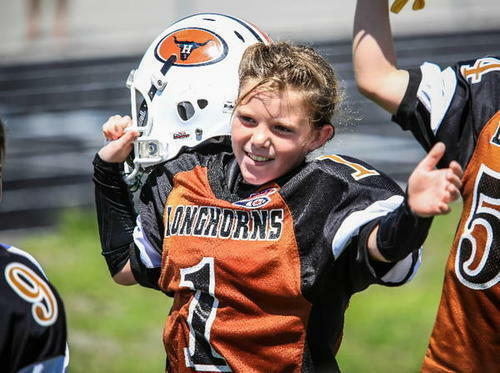 That females are playing football at such high levels made me think that there might be a swelling of girls getting involved at the high school and little league levels. A little internet research, aka “googling,” showed me that I just might be right. At the high school level and below girls seem to be hitting the field left and right. One down at a time, they’re changing the face of the sport right before our very eyes. It’s pretty exciting. 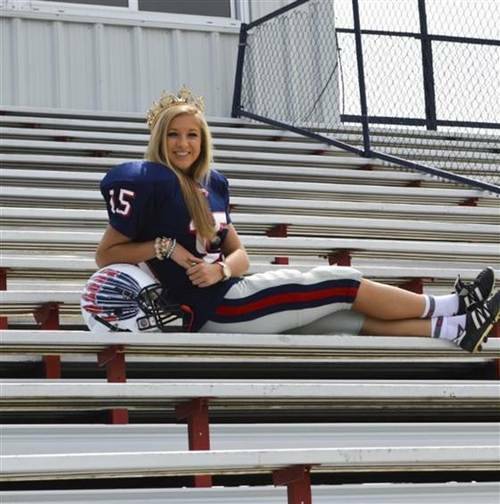 Mary Kate Smith of South Jones High in Mississippi. 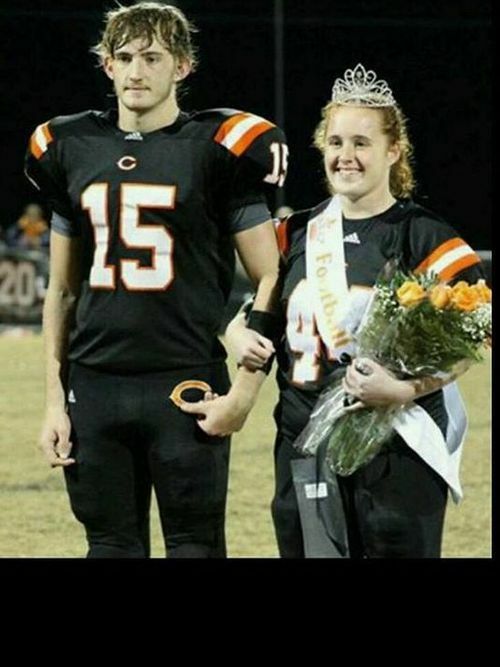 She’s the homecoming queen and varsity kicker. 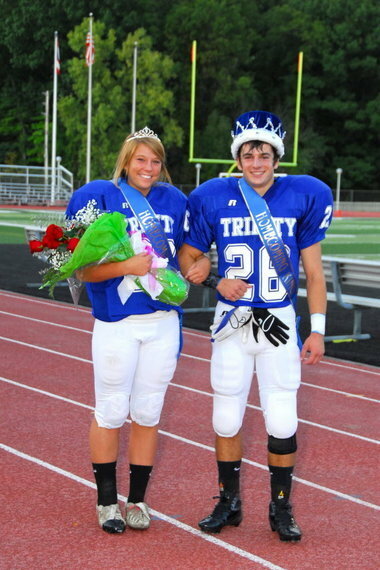 Emily Krause, another homecoming queen kicker from Ohio. 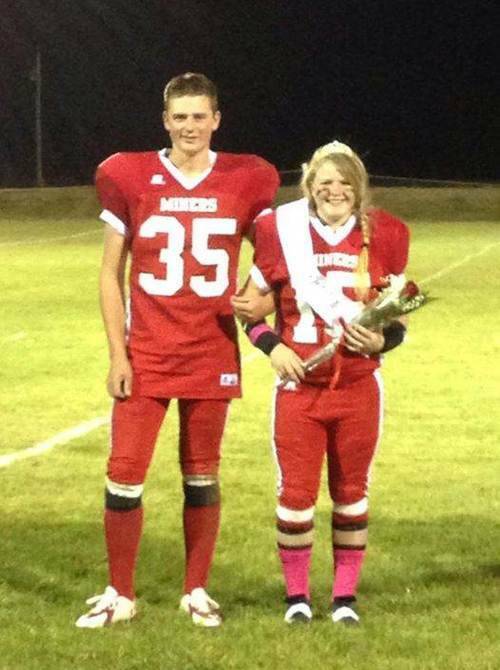 Another crowned kicker, Kaitlyn Warner, of MacKay High School in Idaho. 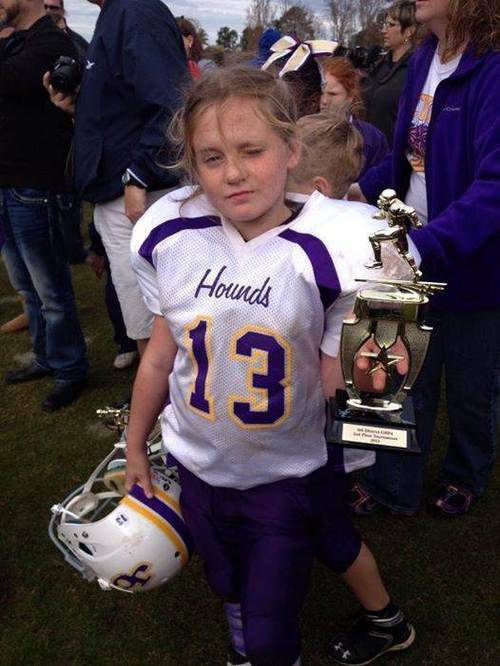 Crowned kicker, Morgan Meredith, of Coalfield in Tennessee. 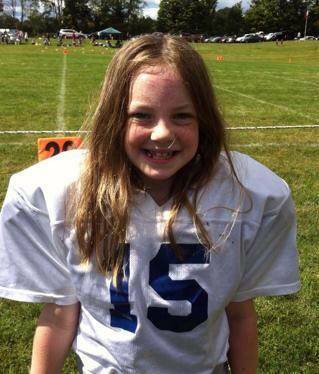 And check out pics of some of little female footballers. Good luck to all the football GladiatHers this season! !